Need to stretch your app budget? Here are 161 great iPhone and iPad apps that just went on sale for Black Friday weekend. 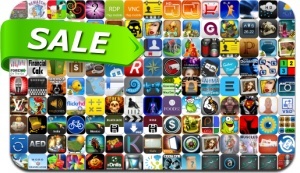 This app deal alert includes Fishdom, The Rise of Atlantis, Tap the Frog, New Puzzle Quizzes Deluxe, RDM+ Remote Desktop, 1112 episode 03, Boxhead, Brickshooter Egypt, New Sliding Tiles Deluxe, Gorilla Workout and many others. The Tortoise and the Hare: REMATCH!